When a family with school-age children is moving, a couple critical questions stand out as they search for their new home: 1) Is it a safe place? and 2) Are the schools good?. Discovering and becoming familiar with new school systems can be confusing and overwhelming, how ever, it is extremely important. We were a military family for 21 years and as a result moved many times. Each time we moved, as a mom, the two questions of safety and school quality were front and center in my mind. In short: I can relate. Since the writing of this post, we have retired and two of my three children graduated. Even though I am past the “finding a new school system” stage of my life, the stresses of moving and the school/property searches still remain with me. Now that I am a real estate agent and have personally walked this road a few times, I have assembled some resources just for YOU, the concerned parent! A school choice is a personal, individual decision. What might be great for some families is not acceptable for others. I recommend asking around your neighborhood if you’ve already moved into a house, or ask the neighbors in the neighborhood that you are planning moving into. Brainstorm with friends, talk to the district, the principal, discover alternative options, and then determine what is best for your family. 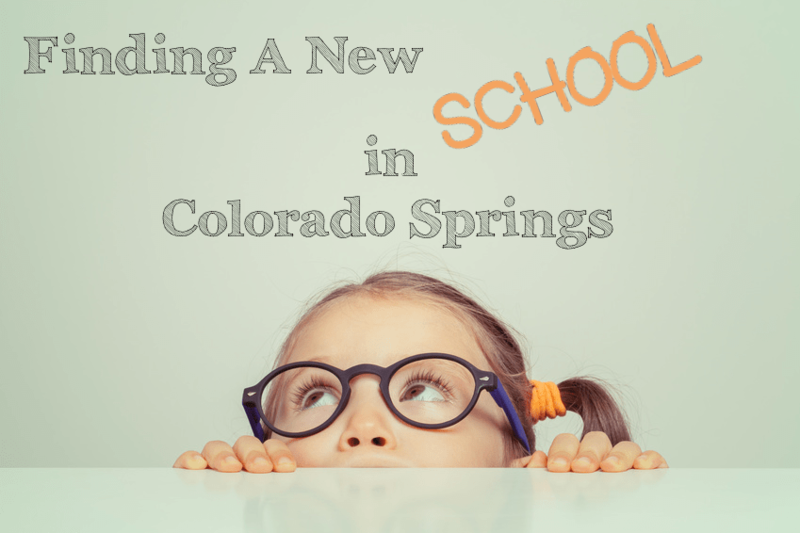 I am very happy to say that there are plenty of choices for your child’s education in Colorado Springs. Colorado and the city of Colorado Springs are extremely family-friendly in regard to education. They highly respect your choice of the type of education that best suits your child. From homeschooling to private and charter schools, to top-ranking public schools, we have the blessing of so many choices at our fingertips. A good first step is to visit the website of the Colorado Department of Education to explore your options and learn the laws. It contains a wealth of information. Below I have compiled a list of types of schools in general, most types are available in Colorado. Colorado Springs School Ranks, Stats, and Reviews website. Biggest difference: Money and time requirements. You WILL have to pay and you will most likely be required to volunteer your time. 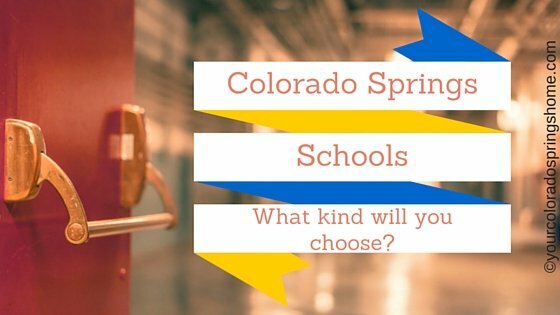 Colorado Springs has numerous private schools to choose from. Ask around or check public forums for more information. Two private schools are the westside of town are University School of Colorado Springs and The Colorado Springs School. There are many more but these are two to get you started on your research. DoDEA (Dept. of Education Activity) offers virtual high schools for qualifying dependents of military families. K12 and Connectionsacademy.com are two examples of free public school online for anyone. Whether your child is gifted and your local public school is not providing services for your child, your child is differently-abled and your school does not provide the support you are comfortable with, or an illness prevents your child from going to school, it’s good to know that the option is there for you. There is a very large homeschool community in Colorado Springs that works together to provide unparalleled education for their children. 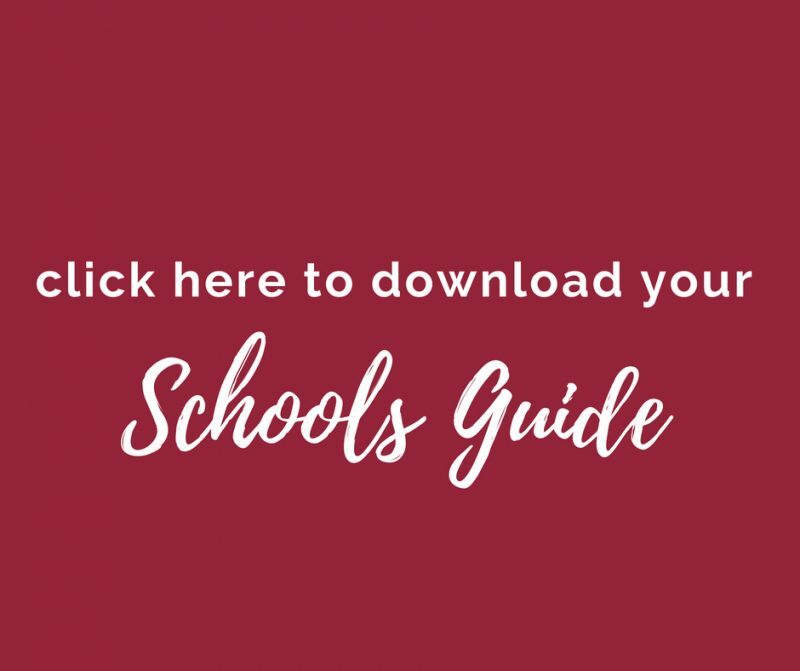 In addition, most of the school districts are homeschool-friendly and offer their own free resources and classes should you choose to go this route. 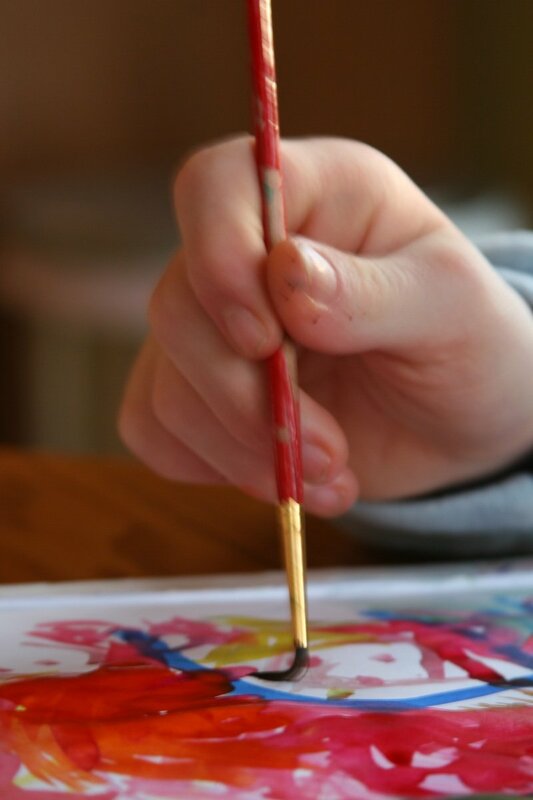 D20 offers the Home School Academy and High Country Home Educators provides an amazing program. There are multiple resources out there to assist you should you choose this option. State-by-state information on charter schools. These links are provided for informational purposes only and are not intended to imply an endorsement of the sponsoring organization or particular content contained on individual sites.